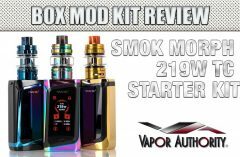 Reviewing the Innokin Kroma-A & Zenith MTL Tank Starter Kit will be the first time I’ve spent a serious amount of time with an MTL (mouth-to-lung) vaping device. Back in 2013 I never believed I would be anything other than an MTL Vaper, now every MTL device I use feels strange, and it’s hard not to at least attempt to use it as a Direct Lung device. How times change. Mouth to Lung vaping is done the same way most people smoke cigarettes (I was shocked to learn that some people smoked with a Direct Lung method, I couldn’t imagine). That is to say, an MTL tank has a narrow drip tip, a tight draw, and the user inhales the vapor into the mouth, then a second inhale from the mouth into the lung. Direct Lung vapers simply draw the vapor straight down into their lungs, something that is second nature to me since late 2013. Mouth to Lung vaping, I found out, is still growing, it’s no longer a step to use to free one’s self from the addiction of tobacco cigarettes. 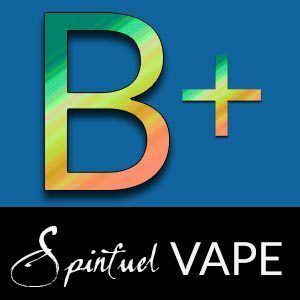 It’s become a favored choice, a preferred method, and one of our Spinfuel VAPE staff members prefers this style of vaping over the massive clouds of a high-wattage box mod and a low resistance sub-ohm tank. The Innokin Kroma-A & Zenith 75W Starter Kit (Plexus Z Edition) is a decent mod, compact and ergonomic, with an integrated 2000mAh battery, temperature control suite and includes the Zenith MTL Sub-Ohm/Plus-Oh Tank. Manufactured by Innokin with design collaborations with Phil Busardo and Dimitris Agrafiotis, the Zenith MTL Tank is designed as a flavor-focused vape experience. Normally, our MTL staff reviewer would have reviewed the Innokin Kroma-A and Zenith MTL tank, which, by the way, is a tank developed with the two of the industry’s most powerful “influencers”, Phil Busardo and Dimitris Agrafiotis, but he’s busy reviewing another batch of products so I thought I’d step in. One of the reasons for wanting to step in was to briefly talk about “influencers” and how they fit in the vape industry. An “Influencer” is anyone that can be hired for their “star” power, their ability to influence potential buyers. Every industry uses “Influencers”, and if you want to learn more about how they influence people on the internet look no further than the YouTube sensation iJustine. With 5.1 MILLION followers on YouTube, Justine is one of the wealthiest women on net who has made her fortune on personality, presentation, and an innate ability to use her “power” in a way that powerful corporations, including Apple, send her top-shelf products to review and have fun with. My two most recent, favorite videos by iJustine are the new 2018 Apple MacBook Pro and the Apple Homepod. Justine literally has a Homepod in every room of her beautiful home, and the MacBook Pro Justine demonstrates includes the 4TB SSD drive a $3200 extra. (Mine has the lowly 2TB SSD drive that added just $800 to the price of my new MacBook Pro). Anyway, to see the power of an honest-to-goodness heavy-hitting Influencer, check her out. Sometimes, and I’m going to assume that is the case here, an influencer is not only being used for the ‘star power’, but can also contribute to the design and/or specs of the vape device being made. Phil Busardo and Dimitris Agrafiotis probably had some kind of involvement in making the Zenith MTL Tank, but I know when our boss was asked to lend the Spinfuel name to two products in 2014 and 2015, he declined because we would have no input on the device. It would have been good publicity I’m sure, but with no control over the product, it’s not an honest collaboration. 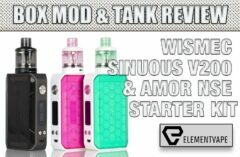 In any case, our first review of the 75W Innokin Kroma was back in February 2017, some 18 months ago. 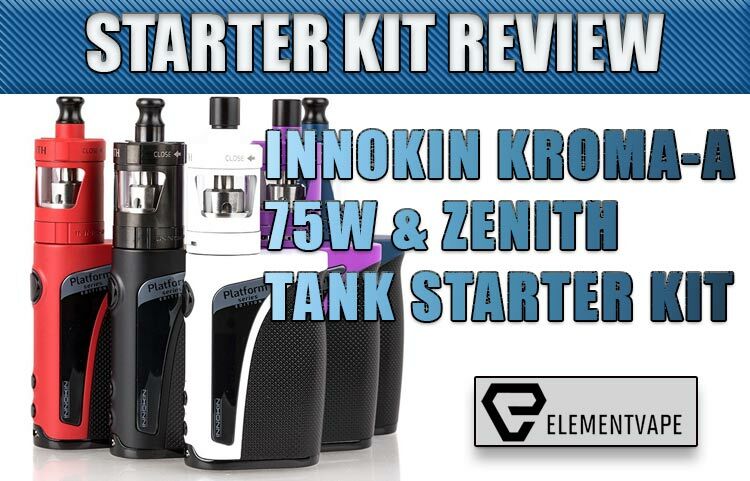 Innokin claims their new Kroma-A 75W TC Starter Kit, is a new and improved version of the original. 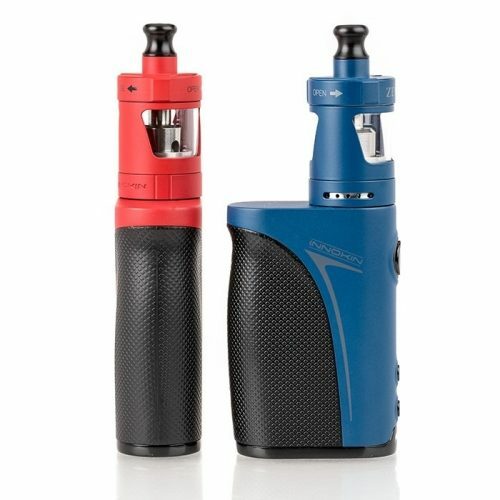 Like the original, the Innokin Kroma-A has a three-button control face, a circular fire button with an LED backlight that indicated the battery life left in the device, and two circular adjustment buttons. The Kroma-A even maintains the side mounted low-res OLED screen that displays the usual and common settings. A twist of the wrist allows the user to get a glance of the settings. Increasing/Decreasing the Wattage/Temp – To start the process of increasing (the upper adjustment button), you press and hold until the screen begins to blink. Release, and then use the button to increase the wattage/temp. Likewise, to decrease the wattage, press and hold the lower adjustment button until the side display blinks, then release and press to lower the wattage/temp. Press & hold ‘+’ and Fire button until you come to the mode you want to use. When I say, “cycle through”, I mean cycle through. You can adjust the Power (Wattage) in TC Mode by pressing and holding the ‘-’ (minus) and the ‘Fire button’. This feature will allow you to increase or decrease the initial wattage of vape while still using the Temp Control suite. Rotating the Orientation on the display, Press and hold ‘+’ and ‘-‘ adjustment buttons until you see the orientation change, then release. If you have, or had, the original Kroma then these operations will seem instantly familiar. Red mean the unit is on Low Power and it’s best to recharge it as soon as possible. When the original Kroma was introduced 18 months ago it included the ineffectual SlipStream tank, a 2mL stainless-steel and glass tank that included a 0.8-ohm Kanthal head preinstalled, and a SS316L 0.5-ohm Head. 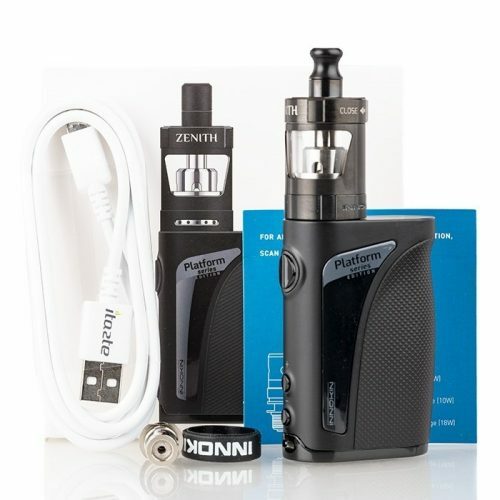 This time around Innokin includes the fairly popular Zenith MTL Tank. Innokin’s Zenith Tank is a 23mm wide tank that can hold up to 4ml of eJuice. The Zenith MTL Tank as a “Zenith coil family” that includes a plus-ohm 1.6-ohm MTL coil that is rated at just 10 to 14W, as well as a sub-ohm 0.8-ohm MTL coil, which is rated at 15 to 18W. My Starter Kit had the 0.8-ohm head preinstalled, and the Kroma-A read the ohms as 0.54-ohm. There is a single airflow slot on the base of the Zenith. The slot itself has several small circular holes that can be covered by twisting the base. To allow the largest amount of air into the tank open the air slot fully. The Airflow will enter the Zenith MTL Tank through the open air-holes on the base. The Zenith allows for a decent amount of eJuice for an MTL tank. Most of the MTL tanks I’ve seen, and the very few I’ve used, are 2mL tanks. With such low wattage requirements that 4mL capacity will last quite some time. The Zenith MTL Tank has a very simple top-fill system. All the user needs to do is twist the top cap to reveal a rather large fill slot. Once the tank has been filled, twist the top cap to close and that’s it. All tanks should be so simple to fill. The Innokin Zenith MTL Tank has a thin, short (4mm) narrow-bore stub atop the tank. 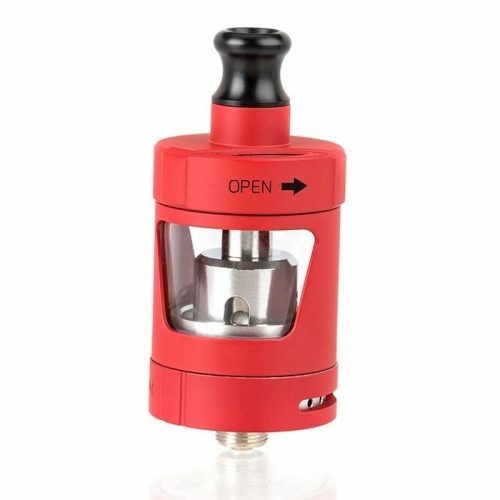 This is NOT the official Delrin Drip Tips. 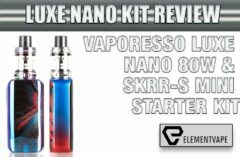 The Starter Kit includes two, narrow though workable, Delrin Drip Tips. The biggest selling point of the Zenith MTL tank is supposed to be the flavor it can produce. Well, that and super tight draw of an MTL vape experience. After fully charging the Kroma-A and filling the Zenith Tank with my favorite eJuice (probably a mistake), I allowed the tank to sit for about 10 minutes. To my surprise the flavor was muted, especially when compared to my SMOK V12 Prince (reviewed here) with a strip core coil, or even the recently reviews AVCT Avictor RSN Sub-Ohm. (reviewed here). However, after an hour break in period I began to realize a much better flavor experience. I won’t go as far as saying it came close to my sub-ohm experience, the flavor was nice, but not nearly as thick and intense as a low-resistance, mid-wattage sub-ohm. 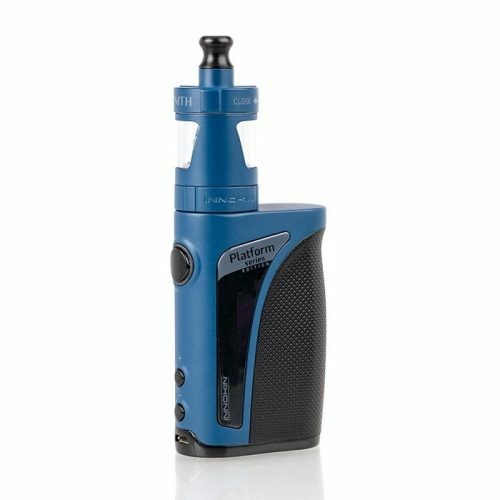 After a day of vaping with the preinstalled 0.8-ohm Coil I switched out to the 1.6-ohm and this time used a 35mg nic-salt by Yogi Blueberry Granola Bar eJuice and here is I discovered the flavor potential of the Zenith Tank. The flavor was outstanding, despite the tight draw. 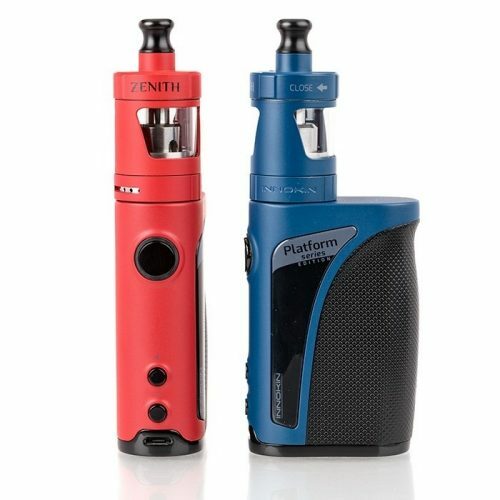 I’m not saying the Zenith requires a high-nicotine eJuice, or nic-salt eJuice to get the best experience but trying to vape a 70% of higher VG blend in an MTL tank is tough. A 50:50 or 40:60 VG/PG is probably the right blends for an MTL vape. Using a 2000mAh integrated battery can work when the tank is a low-power MTL tank like the Zenith, but it is hardly enough for a mid-to-high performance Sub-Ohm. Although it would have been easy for Innokin to upgrade the 18-month old Kroma to 3000 or so, the switch to the Zenith was a good one. The Kroma-A is nearly identical to the original Kroma, but with an MTL tank included in the starter kit it gives new life to both the Kroma Mod and the Zenith, which was released solo several months ago. Together they from a very decent MTL kit. For Vapers that prefer the Mouth to Lung vape experience, but pod mods like the JUUL offer little choice and much less battery life, the $50 Kroma-A Kit is not a bad choice… at all.